The song Joss Stone - Teardrops is professional recreation. It is not by the original artist. Baby Baby Baby Joss Stone Your browser does not support the audio tag. Don't Cha Wanna Ride Joss Stone Your browser does not support the audio tag. Don't Start Lying To Me Now Joss Stone Your browser does not support the audio tag. Karma Joss Stone Your browser does not support the audio tag. Pillow Talk Joss Stone Your browser does not support the audio tag. Put Your Hands On Me Joss Stone Your browser does not support the audio tag. Right to be Wrong Joss Stone Your browser does not support the audio tag. Somehow Joss Stone Your browser does not support the audio tag. Spoiled Joss Stone Your browser does not support the audio tag. 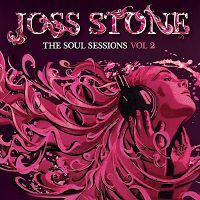 Super Duper Love (Are you diggin' on me) Joss Stone Your browser does not support the audio tag. Teardrops Joss Stone Your browser does not support the audio tag. You Had Me Joss Stone Your browser does not support the audio tag.